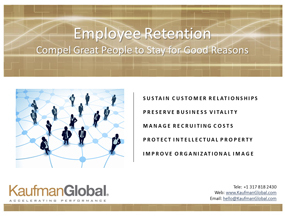 The cost of poor employee retention is significant and ever increasing. The ability to retain good people is a huge competitive advantage. Whether the market is going up or down, turnover is a factor for all employers, no matter what your business. Those are some pretty critical wins. And, they all contribute to significantly better business performance. So why not do it right? And by right, we don’t just mean pay increases, stock options and / or bonuses. These pieces alone won’t solve your retention issues. It’s not all about the money… really. While financial incentives can buy some time, they do little to build confidence in the culture of the organization and the enterprise. A low retention rate is always a symptom of other issues. Without a practical employee retention strategy in place, organizations find themselves parting with a higher portion of their best and most qualified talent, the result of which is losses in productivity, time and money. So how do you stop the bleeding? First, focus on the heart of the issue… people. The number one place where organizations get it wrong is engagement. That’s right, when people leave, it’s most often because they did not feel a sense of accomplishment or belonging. People want to feel like they are part of something. For decades, surveys have concluded that compensation and benefits, while important, always rank lower than belonging and the ability to contribute meaningfully when it comes to job satisfaction. Don’t ignore this! 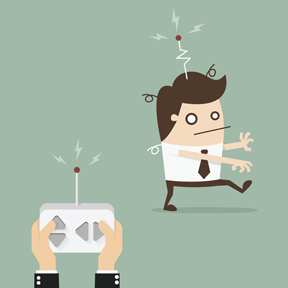 There are plenty of ways to improve retention by getting (and keeping) people engaged. Start by including people in improvement activities like process mapping – those working inside the process always know the most about value and waste where they work – this is their chance to contribute their knowledge! Engaging them in the hands-on work of fixing identified improvements should follow via small focused projects (Kaizen Events and Rapid Improvement Events). To ensure energy and support for these efforts, leaders should receive training and alignment coaching to help them understand that it’s OK to give up some control and let the organization contribute more from the frontlines. To move beyond a project-based approach to engagement, consider the structure and discipline embodied in Kaufman Global’s Lean Daily Management System®. This is the real deal when it comes to sustainment and a structure that keeps people involved on a day-to-day basis within their workgroups. When an organization is formally and consistently engaged, a culture of performance follows. 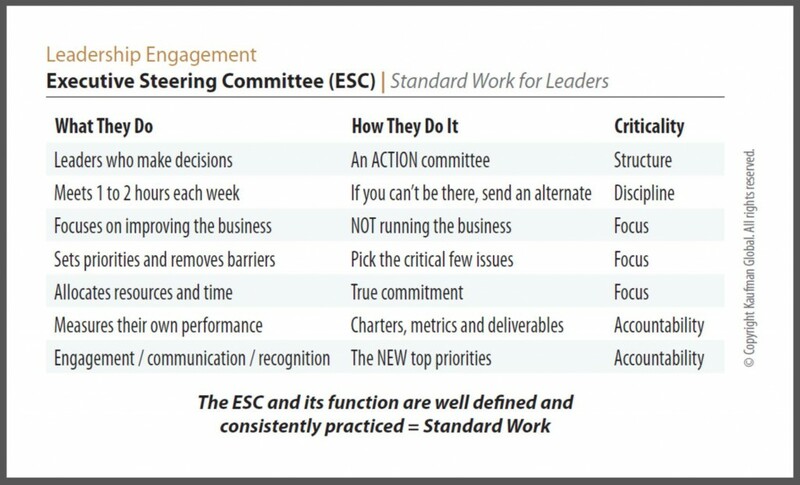 Understanding how to achieve a performance culture, why it’s so elusive for many leaders and their organizations, and what it takes to make it reliable is the key to sustainable improvement. 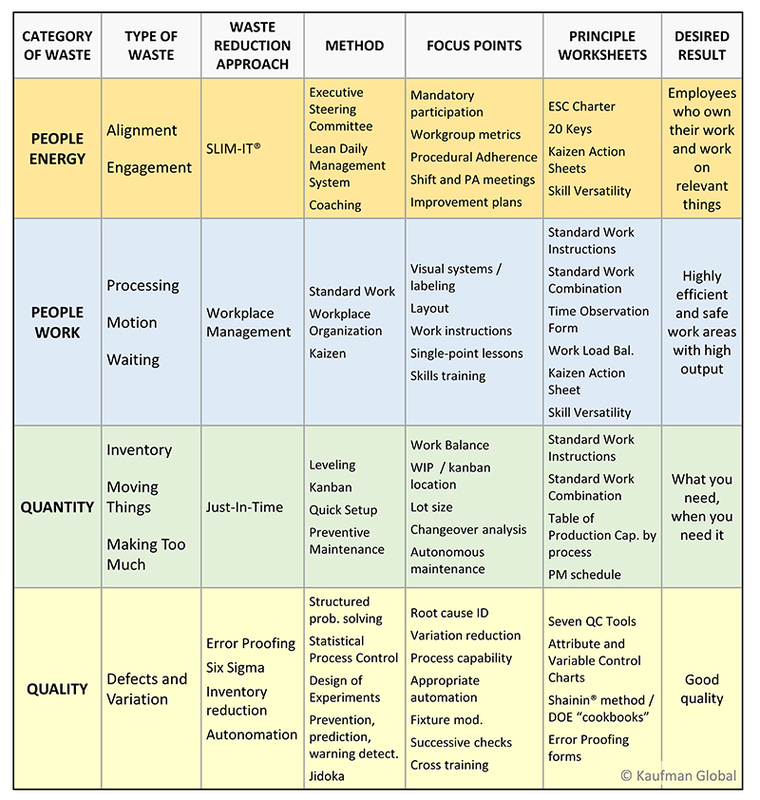 In the late 1990s, when Kaufman Global developed the Lean Daily Management System ® (LDMS ®), we recognized that “Lean” as a method for improving business was often viewed as a set of tools aimed at machines and inventory. On the surface, and in the simplest of explanations, it was considered to be a group of useful techniques that could be “directed and applied”. I think this was more of a Western interpretation that still reverberates today. 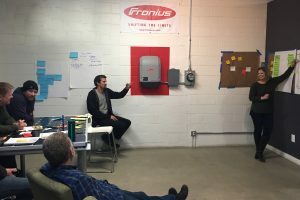 In this, the practitioners of the day put less emphasis on the human element and treated engagement as a collateral benefit of Lean, rather than the primary contributor to Lean results. Much of the information available focused on technical aspects such as pull systems, inventory leveling and quick change-over with a bias for discrete manufacturing versus continuous flow, business process or service industries. The Machine that Changed the World (Womack, Jones, & Roos, 1990). For a decade this book was the primary source of Lean inspiration as manufacturers attempted to emulate Toyota. It is still a compelling description of the benefits of Lean vs. more traditional forms of production. The book describes worker engagement as an important element of the Toyota Production System but it does not peg it as the foundation. Lower inventories and improved product flow are viewed as the causes of higher productivity and better quality when they are actually the effects of a more engaged workforce. Learning to See (Rother & Shook, 1998). 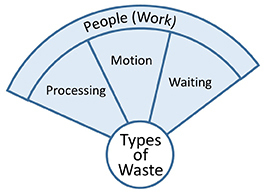 All about Value Stream Mapping, it is still the preferred source for this technique for understanding waste and value. 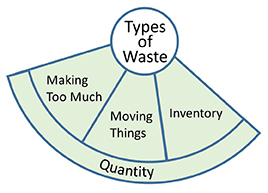 It is most effective in manufacturing environments where inventory can be converted to time. Our fundamental belief then and now is that Lean is a people system, not a technical one. 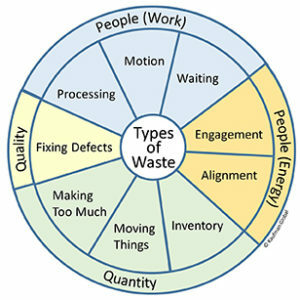 Think of Lean tools like Quick Changeover, Error Proofing, Pull Systems, or Kaizen Events as waste elimination shovels. They work great, but they are useless without some keen insight about where to dig. This was the missing link we sought to address as we first described LDMS. It gives natural work teams the ability to make decisions about where to dig based on their understanding of their issues and performance. Combine this insight with the authorization for them to actually take control and utilize some structured problem solving techniques, and you have a self-regulating improvement engine. 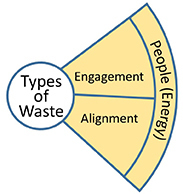 LDMS is the manifestation of work group participation and this engagement is the fastest route to the overall objective of Lean which is to maximize customer value by minimizing waste. Or said another way: Deliver, at each step, what you need, when you need it, at ever-increasing levels of quality and customer satisfaction. While this cannot be achieved via top-down control, leadership does have an important part to play. “Doing” LDMS must be supported, expected, encouraged and required from above, otherwise it won’t happen consistently enough, broadly enough or often enough to become the way the organization does business. The constructs of LDMS are specific. They describe activities and behaviors that are observable. This gives leadership a natural and specific way to interact with and support the teams. For example, one could ask: “Do you have good teamwork? Are you communicating? 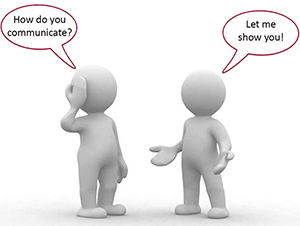 Do you measure your work and performance?” In an LDMS environment, all of these things are observable and the teams are able to speak directly to how they do it. That empowerment drives accountability and process ownership downward, where it belongs. The Lean Daily Management System gives organizations outside the realm of manufacturing something to grasp. When you think of Lean as waste elimination and LDMS as the standard work of an engaged organization, it opens a world of possibilities that go beyond the shop floor. In our experience, LDMS works everywhere. Contents are adjusted – metrics for example will be different in functional and administrative environments than in manufacturing. But when people actively participate in improving the work that they control, they always find ways to innovate and adjust appropriately. Should you do it?.. Of course! LDMS makes Lean sticky. People have more personal control and ownership of the work that they do. Individual and team accomplishments become visible. Performance issues and opportunities are more transparent. Process changes and improvement efforts are better connected to day-to-day activities and standard work is easier to achieve. LDMS engages minds and hearts and provides a vessel for employees to contribute in ways that are meaningful and rewarding to them. Even with all these positives, be prepared for some resistance. It’s something new and people will have lots of questions as the system is coached into the organization. Leaders needs to be encouraged to stay the course until the culture starts to recognize that a broad and proactive approach to performance improvement is the best way to eliminate waste and improve customer value. 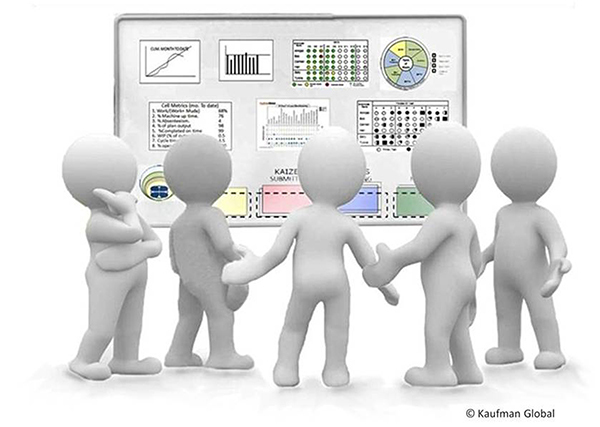 Kaufman Global began teaching and implementing the Lean Daily Management System in 1999. It was first described and published in our groundbreaking White Paper: WIn-Lean® Manufacturing in 2000. 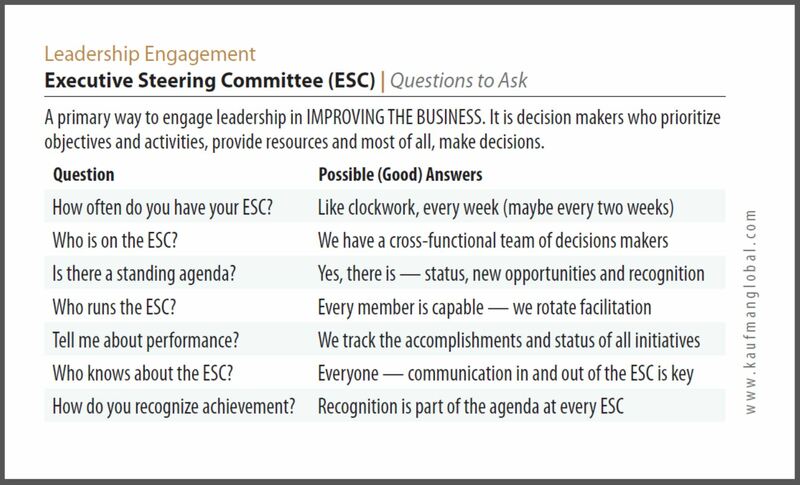 In 2017 we updated our content to include even greater emphasis on the fact that the waste of People Energy (Engagement and Alignment) is still the greatest opportunity for any organization seeking to improve performance. For a full description of how and why LDMS fits into any Lean system, download a copy of our White Paper: Implementing Lean Manufacturing: A Holistic Approach. Ohno, T. (1988). Workplace Management. Cambridge, MA: Productivity Press. Womack, J., Jones, D., Roos, D. (1990). The Machine That Changed The World. Based on the Massachusetts Institute of Technology 5-million dollar 5-year study on the future of the automobile. New York, NY: Rawson Associates. Rother, M., Shook, J. (1998). 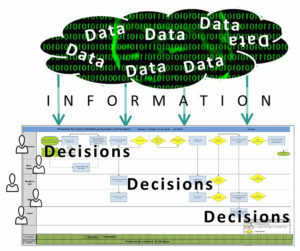 Learning To See: Value Stream Mapping to Create Value and Eliminate Muda. Lareau, E. W. (2000) White Paper:WIn-Lean® Manufacturing.